Once the sun went down on the day where I saw the sheep’s head, Romina, her friend and I headed to the Yemaja Festival on the Rio de la Plata — on a different beach from where we had been earlier in the day. 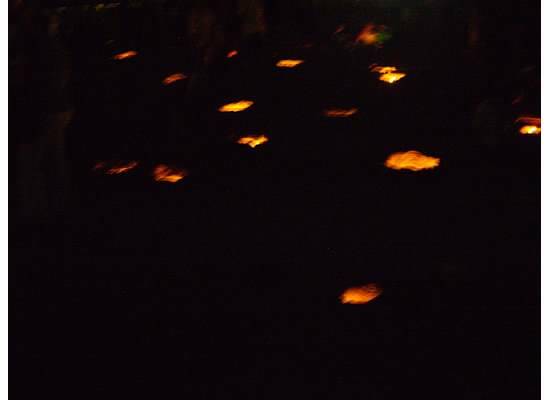 There, was a religious festival on the beach, in the river and on the streets. Yemaja is the Goddess of the Sea. The beach was full of people celebrating this spiritual holiday. The beach and the surrounding streets were full of people like us, who were observing. 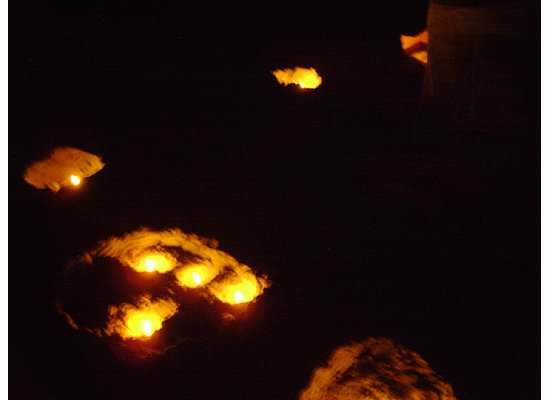 In the sand, people had scooped out holes to put candles. 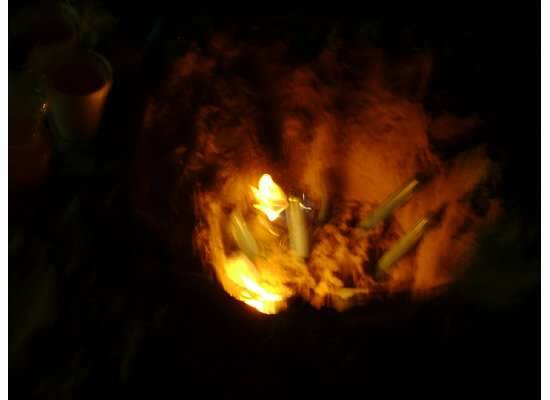 Families gathered around their ‘hole’ and you could see them enjoying the company of those around them. It made the beach look beautiful but if you weren’t watching where you walked, it could have been dangerous. 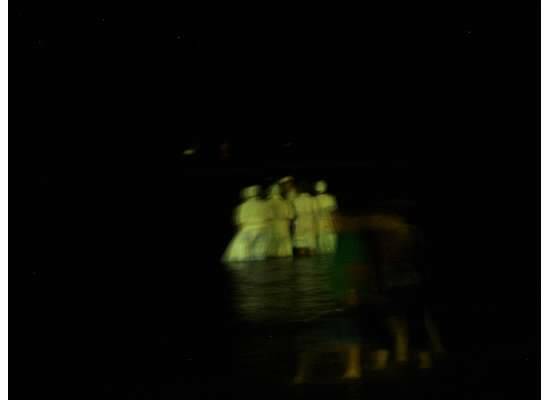 People were dressed in all white as they walked from the beach into the river to make their offering to Yemaja. Long white cotton gowns and pants dominated the fashion scene of religious participants. On the beach there were bands playing and on the street just parallel to the beach there was music coming from nearly every car. It was very interesting and I didn’t take many photos, or try to get good ones, because I felt like an intruder on a spiritual journey. If you Google “Yemaja and Montevideo” there are photos if you wanted to see more. The spellings vary as this is celebrated in a variety of countries with an African influence. And no, I did not see any other animals on the beach. This entry was posted on Tuesday, February 12th, 2013 at 8:00 am	and tagged with uruguay and posted in beach, history, holidays. You can follow any responses to this entry through the RSS 2.0 feed. « Heads Up! You Won’t Believe It Until You See It!